Busch Gardens Williamsburg is a 100-acre European-themed amusement park with 17th-century charm and more than 50 rides and attractions. Families enjoy thrilling activities and entertainment with stops in England, Scotland, Ireland, France, Germany, and Italy. Located just a few hours south of Washington DC, Busch Gardens offers a full day of fun and makes a great day trip or weekend getaway. The park is near Colonial Williamsburg, a historic region of Virginia that boasts a wide variety of attractions including historical sites, amusement parks, shopping, fine dining and much more. The thrill attraction Tempesto debuted April 25, 2015. The ride propels riders forward and backward through the station house at more than 60 miles per hour. Riders then climb 154 feet in the air for the signature loop-the-loop inversion. In May 2014, Busch Gardens opened a new stage with super powerful video projectors and nearly 2,000 audio speakers at the Globe Theatre. In 2013, Busch Gardens introduced its first ever food festival featuring authentic tastes of Europe paired with family-friendly activities and entertainment. This annual weekend has become a favorite of visitors. 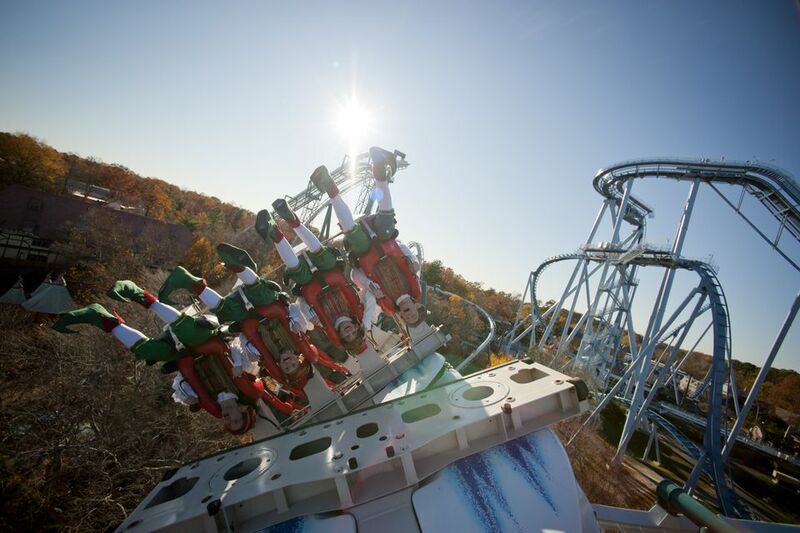 Also, enjoy world-class thrills aboard Verbolten, Busch Gardens’ attraction located in Oktoberfest. This multi-launch, indoor/outdoor roller coaster sends guests on a fun and mystifying family adventure through the Black Forest. The Sesame Street Forest of Fun features family-friendly rides, playgrounds and a 4-D Sesame Street movie. The Food & Wine Festival includes two new kiosks featuring Eastern Asia cuisine and a taste of New Orleans (Cajun- and Creole-inspired recipes) in the French Quarter. The event offers individual-sized tasting portions for sale at each of the park’s 14 themed kiosks stationed throughout the park with 60 specialized food items. Regional menus include American Southwest, Canada, Caribbean, Coffee & Crêpes, Eastern Asia, France, Germany, Greece, Ireland, Italy, Scandinavia, Scotland, Spain, and The French Quarter (Cajun & Creole). Busch Gardens celebrates Oktoberfest with their Bier Fest, complete with two weekends of beer, traditional German food, live music, and more. The event features 75 beer varieties representing 10 countries, including Southeast Asia, Europe, and the United States. Several selections from Virginia-based craft brewers also will be on tap. Guests walking through the Oktoberfest village can enjoy traditional German music by The Happy Dutchmen. This Oompah band engages audiences with songs like Edelweiss, Schitzelbank, and Ein Prosit and invites the audience to join in traditional German dances, including Der Ententan and the Chicken Dance. Access to Bier Fest is included with park admission. The park opens in March and is open daily for spring break through April 9. Through April and May, the park is open on weekends. It is open daily from Memorial Day through Labor Day and then weekends from September through October. During the holiday season, the park is open on a limited schedule. Buy tickets in advance so that you do not have to wait in line. Purchase a seasons pass to save time and money. Stay a few days and visit Colonial Williamsburg, Jamestown, and Yorktown. Busch Gardens is owned and operated by SeaWorld Entertainment, Inc., a leading theme park, and entertainment company that has built a diversified portfolio of 11 destination and regional theme parks, many of which showcase its one-of-a-kind zoological collection of approximately 89,000 marine and terrestrial animals. The Company’s theme parks feature a diverse array of rides, shows, and other attractions with a broad demographic appeal which delivers memorable experiences and a strong value proposition for its guests. SeaWorld Entertainment, Inc. also rescues and rehabilitates marine and terrestrial animals that are ill, injured, orphaned, or abandoned, with the goal of returning them to the wild.